Put lentils in a deep pot. Add bay leaf and enough water to cover generously. 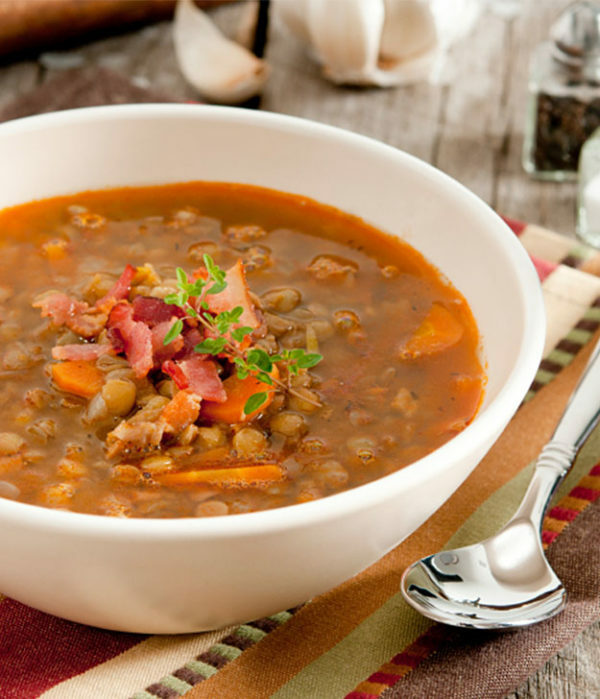 Bring water to a boil, partially cover and reduce heat so water boils gently until lentils are just tender but not mushy, 25 to 30 minutes. Drain and transfer to a bowl. Meanwhile, steam carrots until tender, about 6 minutes. Combine with lentils, scallions, feta cheese and Silver Palate Low Fat Lemon Garlic Herb Salad Splash. Season with pepper, toss and serve.